Teams looking for a worthwhile and rewarding challenge may be interested in this opportunity! 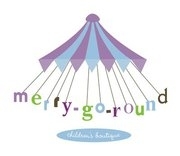 Merry Go Round is a charity set up to save good quality children’s clothing and goods from being sent to landfill, enabling the charity to distribute the items free of charge to families in Glasgow. Working with partner support agencies, Merry Go Round not only saves families money, they offer a wide range of opportunities including volunteering and employment – as well as a community hub with classes and workshops for residents in the wider area. The Challenge! – Merry Go Round is seeking assistance from a team of up to 10 people to help them for between 4 – 6 hours on a mutually agreeable date. Tasks will include assisting to organise donations at the Sorting Hub; helping to prepare free packs for partner organisations to distribute to families; helping to dress the rails at the Charity Shop making the stock ready for purchase. The Sorting Hub is situated in Tollcross Park and the shop in Nithsdale Road. A breakout area is provided with snacks and drinks. No previous experience required but willingness and enthusiasm would be greatly appreciated. No materials or protective clothing is required, unless someone is a handy with tools who could help out with a few odd jobs. The project uses social media to alert followers of good works being carried out for them – so this is a great opportunity to promote your company. If you are interested in discussing this opportunity further please contact Susan Thom at Merry Go Round by completing the form below and pressing send. Susan will contact you within 5 working days to arrange an informal chat. Organisations responding to this request will be required to follow policies and procedures of Merry Go Round. Please note: A copy of your response will be sent to Helen Taylor for Volunteer Glasgow’s records. Please complete all the boxes below to Please pay particular attention to the message box - give as many details as possible regarding numbers, dates etc. Susan will reply to you within 5 working days. If you have not heard from her within this time please contact Volunteer Glasgow.